Ever wanted to fly through the decaying heart of an inside-out planet? 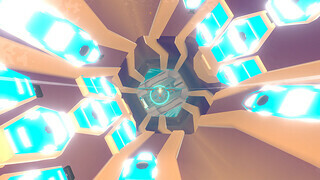 We are happy to announce that InnerSpace is coming to PS4 on January 16! To commemorate our first game, we’re debuting our launch trailer, “Into the Inverse.” Enjoy the flight! What is InnerSpace? 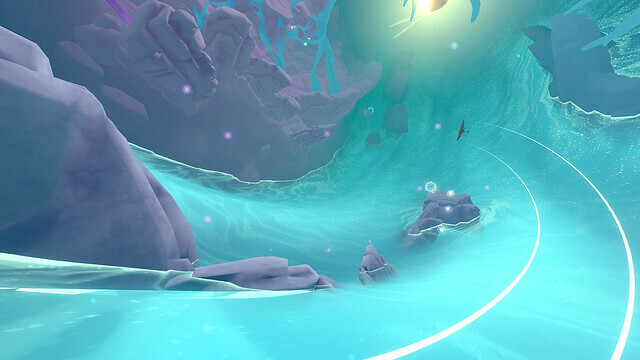 On the surface, it’s an exploration flying game set in the Inverse, a universe of inside-out planets. 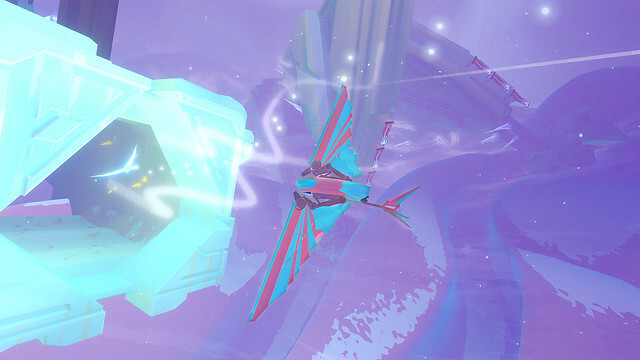 Thematically, much of InnerSpace’s story is about cause and effect. You come into the world at the tail end of civilization, and the ruins here tell an ancient story. Why is the world this way? How did it get this way? As the Cartographer, it’s your job to find out. This isn’t quite a post-apocalyptic setting, of scorched earth and radiation. It has maintained its beauty in its decay. Some ruins remain, and life, as it tends to do, still lingers. The landscapes have a story to tell, deliberately designed to hold true to the history of this place. It’s a colorful puzzle of sky and water, in the shadows of ancient gods, and we hope you enjoy putting the pieces together. If you believe something you see has meaning, it was most likely intentional. 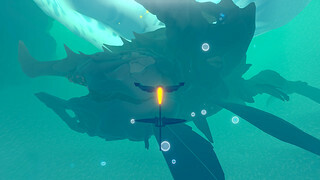 So, when you hop into InnerSpace, I hope you question everything you see. This world is open to interpretation, and every experience will be different. When in doubt, just keep flying, and the secrets of the Inverse will reveal themselves. 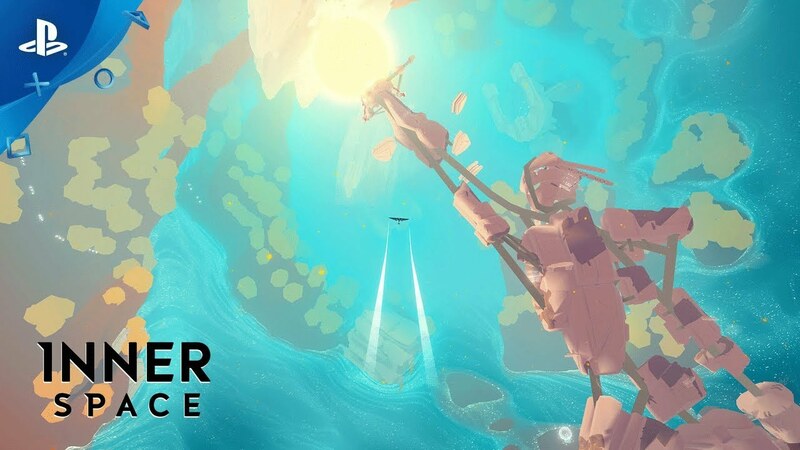 Thanks for reading, and from all of us at PolyKnight Games, we hope you check out InnerSpace on January 16. Your greatest journey is within! Interesting any chance for a demo or a physical release ? Sorry, no plans on a demo. As far as a physical release, we’re only doing digital right now, but I’d love to have one some day! PS4 Pro enhancements? Supersampling @1080p? I guess that means “no”. It looks great though, I’m definitely adding this one to my wishlist. Sweet. This game looks awesome! Truly lovely aesthetics and gorgeous music. Very intrigued by this concept and looking forward to learning more. Visually gorgeous and the music in the trailer is also beautiful in its own right. I might pick this one up at some point. Currently too much other games, but this definitely caught my attention for whenever I see it on sale down the line. It’ll be there whenever you’re ready! : ) Lemme know when you check it out; can’t wait to hear what you think. This is right up my alley. Just added it to my Steam wishlist. The game is beautiful. Good luck with your launch! Very Intrigued, but as someone said, hope we hear a price point soon! I just can not put into words how excited we are to spend time with this title. Jan can not get here soon enough.